"Disrupting Healthcare Is No Walk In The Park"
"90% Of People With Sleep Apnea Never Get Diagnosed"
"The Day My Second Life Started"
Max Little is an applied mathematician whose goal is to "see connections between subjects, not boundaries... to see how things are related, not how they are different." He has a background in applied mathematics, statistics, signal processing and computational engineering, and his work has been applied across disciplines like biomedicine. Max Hodak is the CEO and co-founder of Transcriptic, a remote robotic life science research lab that can be used over the web without buying hardware or installing software. Trancriptic enables you to design your experiments through the convenience of your web browser using a simple point-and-click interface. In 2002 an accident changed the life of young Nicolas Huchet. At 18, this Industrial Mechanic had to learn to live with a myoelectric prosthetic hand that looked nothing like what he had seen in the movies. After 10 years of functional limitations, in 2012 the market offered new and better models but he couldn't afford them. Sacha founded Mauna Kea Technologies in May 2000 and has been the CEO ever since. He piloted the development of the Cellvizio product line and brought together a world-class executive team to raise over 32 million with investors specialized in the health industry. Wink Health envision a future where anyone can have instant and affordable access to world-class sleep medicine. Before Wink, Chris worked on the News Feed at Facebook. On leaving Facebook, he decided to focus on building technology products in healthcare, and specifically ways for people to get high quality medical care online. Jean-David Zeitoun is an MD, specialized in hepatology and gastroenterology and Advisor at TheFamily. His research focuses on drug regulation, safety, pharmaceutical R&D, health economics, therapeutic innovation and quality of care. He is the author of more than 70 scientific articles, 30 of which were published in international journals. Preventable medical errors are the No.3 killer in the U.S. causing the deaths of over 400,000 people every year. Whereas companies in other sectors have embraced 3D technology and simulation to optimize and predict real-life behavior, the medical industry has yet to fully take advantage of these advances relying more on cadavers, manikins and animals to advance the cause of healthcare. Dr. Lavinia Ionita is a licensed practitioner who graduated from the Craiova Faculty of Medicine and worked for years at the Marmottan Hospital and more recently at the American Hospital in Paris. Following her passion for genomics, she has also recently earned the Stanford Genetics and Genomics certificate. Daniel Chao is a medtech entrepreneur, specializing in devices that retune the brain. Halo Neuroscience, a venture backed start-up based in San Francisco is developing a novel, simple, and powerful neuroscience-based technology for optimizing brain performance for the healthy and impaired. Roni Zeiger, former Chief Health Strategist at Google, works at the cutting edge of technology, information, and healthcare. At Google, he developed innovative digital medical services like online medical records, Google Flu Trends, and Symptom Search. Now Roni is leading Smart Patients, which leverages the expertise and networks developed by patients. Sean's passions live at the intersection of healthcare, technology, and design. 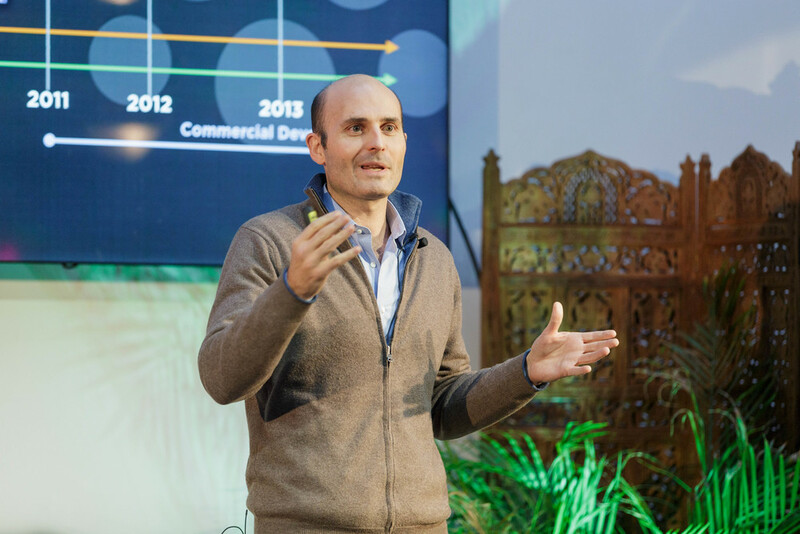 In his current role as CEO and Co-Founder of Omada Health, he sets the vision for the company and helps inspire and empower a team of incredibly smart, driven clinicians, designers, and engineers. 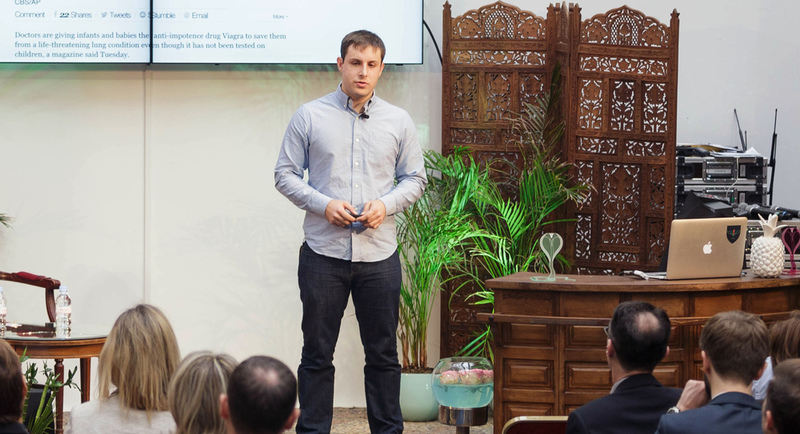 Having discovered mindfulness through Headspace, David came on board to help the company become a leading light in mindfulness research, and, ultimately, get Headspace to the point where it can be prescribed to patients by their doctors. Uwe Diegel is the visionary President of iHealth Labs Europe, established in 2013 in Paris. He is the holder of several patents pertaining to temperature and blood pressure measurement and is considered as a specialist in medical diagnostics. Peter Hames holds a Masters degree in Experimental Psychology from Oxford University, and overcame his long term poor sleep by applying techniques refined by Professor Espie. It was his frustration at how difficult it was to access these proven techniques that inspired him to create the Sleepio course. Eric Carreel is a serial entrepreneur. Before Withings, he founded Sculpteo, Invoxia and Invetel. Withings creates smart products and apps to take care of yourself and your loved ones. Co-founder of TheFamily, Nicolas co-authored with Henri Verdier "The age of multitude, entrepreneurship and governance after the digital revolution" which provides an in-depth analysis of changes induced by the digital revolution. Inspecteur des Finances and entrepreneur, astute observer of issues related to digital public policies. After a PhD at Ecole Polytechnique, Rémi has directed his efforts towards the application of this novel microfluidic technology to the emerging field of digital PCR, which led to the creation of Stilla Technologies in 2013.